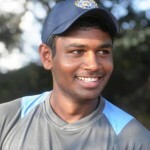 Career Turning Point When he debuted in First Class cricket at the age of 19 and scored 118 runs. 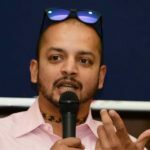 Controversies • His reclusive lifestyle was very controversial in the media. 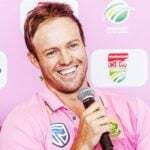 For an Instance, once he was given £1000 cheque by an expatriate Australian businessman for his then world record of 334 runs in the Test match at Leeds, England. 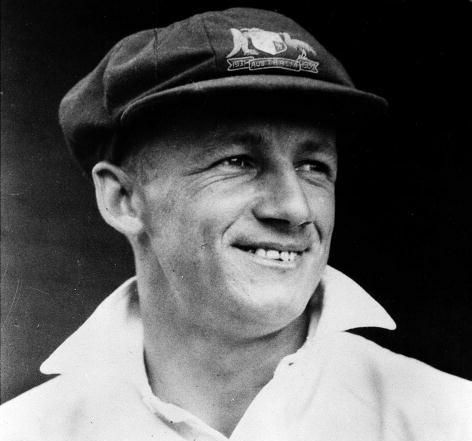 A Melbourne journalist, Geoffrey Tebbutt wrote that Bradman did not even offer a round of drinks to his teammates. 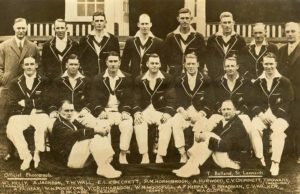 • In the early 1930s, he had a dispute with Australian Cricket Board over his published book. According to the Cricket Board, It was a breach of contract. He was fined £50 for his wrongdoing. • In spring 1931, Bradman came up with an Idea to play professional cricket in England with the Lancashire League club. 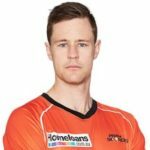 He was advised by the Australian Cricket Board that it would be another breach of contract if he went ahead with the idea. His idea was heavily denounced by the media and public. • In the early 1960s, Bradman was the main selector of Australian Team. He was accused of selecting Ian Meckiff, whose bowling action was controversial. His great-grandparents were among the first Italians to immigrate to Australia in 1826. 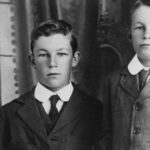 His grandfather, Charles Andrew Bradman was English, who later immigrated to Australia from Wethersfield, a village in England. 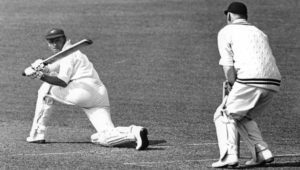 Bradman did not receive any coaching. He learned all his cricket skills with the golf ball. For practice, he hit the ball against a curved brick wall, the ball rebounded, again he hit the ball. 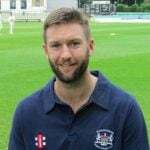 In his childhood, he used to play with his uncle, George Whatman, for the local Bowral (A town in Australia) team. 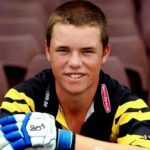 At the age of 12, when he was in school, he made undefeated 115 for the Bowral Public School against Mittagong High School. 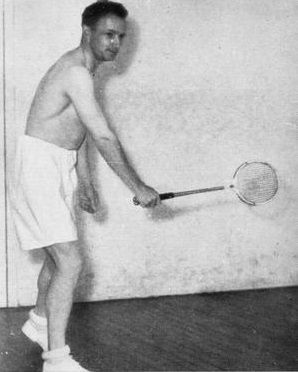 He left his school in 1922 and gave up cricket for Tennis but later in 1925, he resumed. 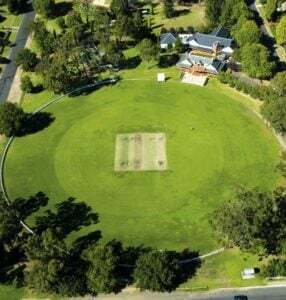 During 1925-26 season, playing for Bowral, he scored 234 against Wingello and 320 not out against Moss Vale in the Berrima District Competition. 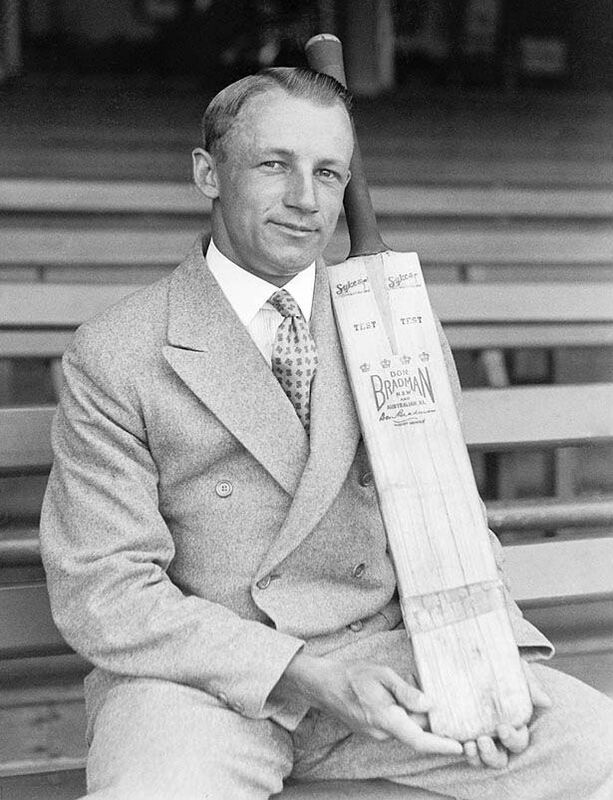 Due to his great performance, Bradman was called up by New South Wales Cricket Association on 5 October 1926. During the Ashes series of 1928-29, when England toured Australia, Bradman drafted into the Australian National Team, but unfortunately, he scored only 18 and 1 in his first test match, Australia lost the match by 675 runs (still a record defeat). Due to his performance, he was dropped for the twelfth player. 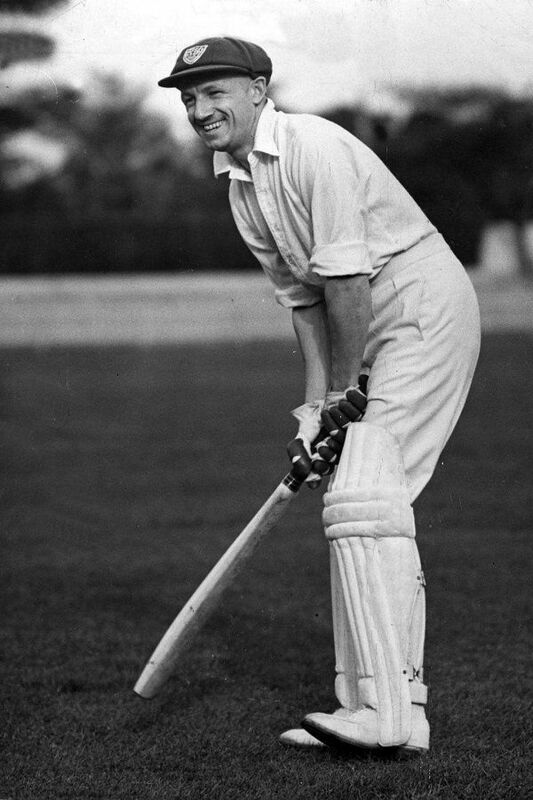 In the third test match of the 1928-29 Ashes, he was recalled and scored 79 and 112, that made him the youngest player to score a century at that time. 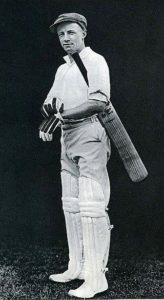 After the 1930 Ashes, Bradman became a national hero when he scored 974 runs with an average of 139.14 in the series. He was accorded a warm reception wherever he went. He was also a good singer, he composed many songs on the piano in the early 1930s, including “Every Day Is A Rainbow Day For Me”, with Jack Lumsdaine. 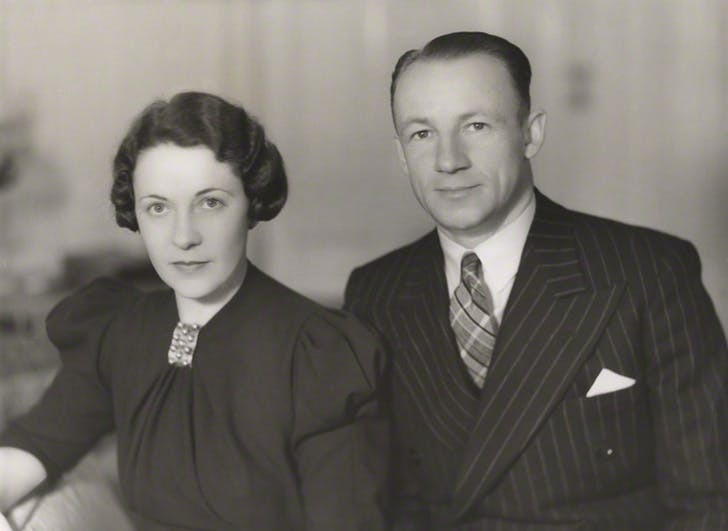 He married his school sweetheart Jessie Martha Menzies in 1932 at Burwood. He loved her so much. 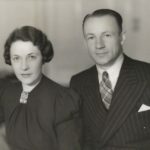 According to Bradman,”Without Jessie, I would never have achieved what I achieved”. 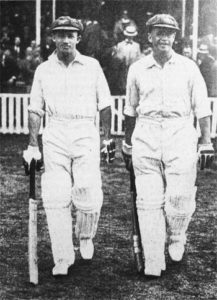 In the fifth test match of the 1934 Ashes series, Bradman and Bill Ponsford made a record partnership of 451 runs, which lasted for more than 57 years until 1991. 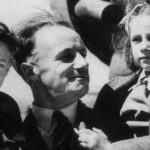 He suffered his personal disaster while raising his children: his first son died as an infant in 1936, his second son had polio, his daughter suffered cerebral palsy from birth. 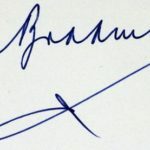 On 28 June 1940, during the Second World War, Bradman joined the ‘Royal Australian Airforce.’ But, later in 1941, he was declared invalid for the service as he lost the sensation in his right index finger and thumb. 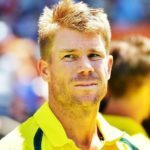 He was 21st Australian test captain. 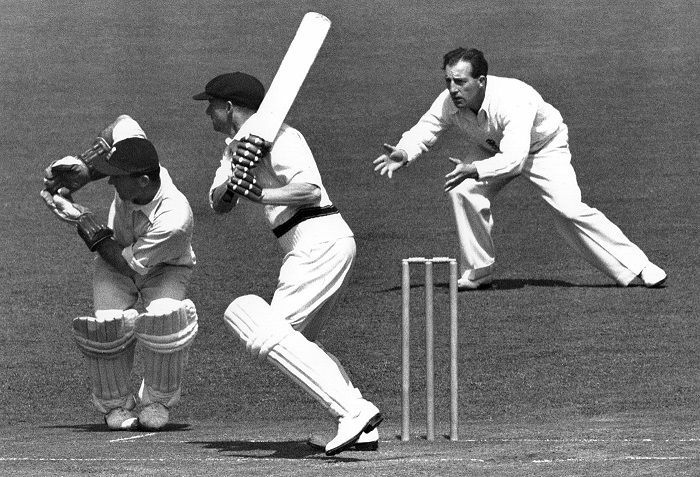 In the 1948 Ashes, at the last match of his career, he got out at Zero. 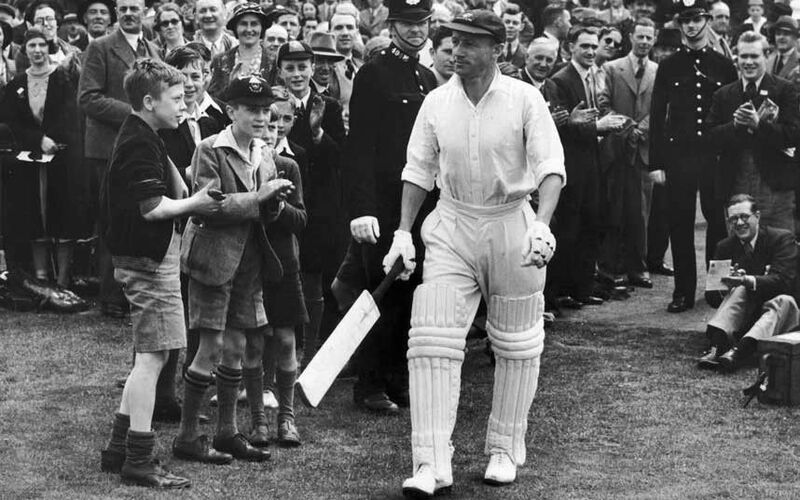 In 1949, Bradman was Knighted for his service to Cricket. 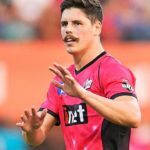 He is only Australian sportsman to achieve this feat. After retirement, Bradman used to be an umpire for South Australian Grade cricket matches. 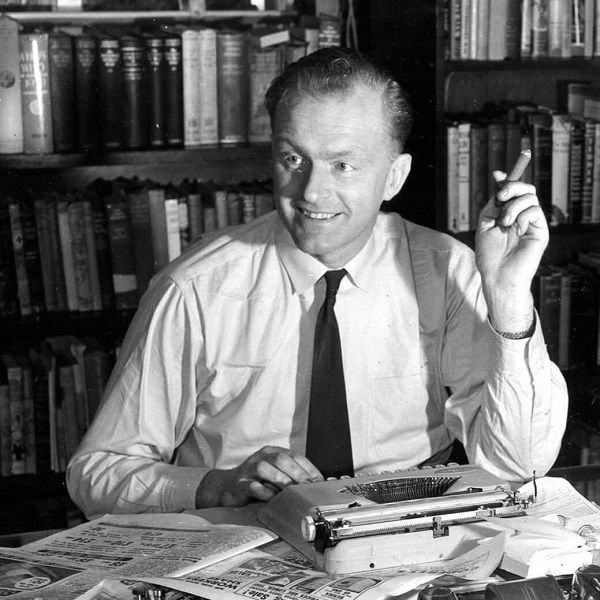 In 1950, his memoir “Farewell to Cricket” was published. The same year, he accepted the offer to write for the “Daily Mail” (A British daily tabloid newspaper). 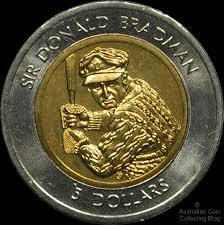 He had a strained relationship with his son John Bradman, who changed his last name to ‘Bradsen’ in 1972. 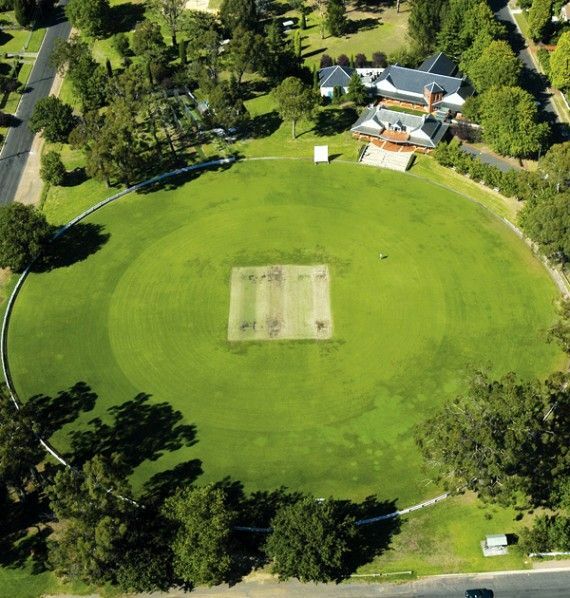 In 1976, when he returned to Bowral, a new cricket ground was named in his honour, named “Bradman Oval“. Bradman was a close friend of Rohan Rivett, an Australian journalist, who died of heart attack in 1977. He became reclusive in his later years due to his wife’s ongoing illness. His wife died of cancer in 1997. 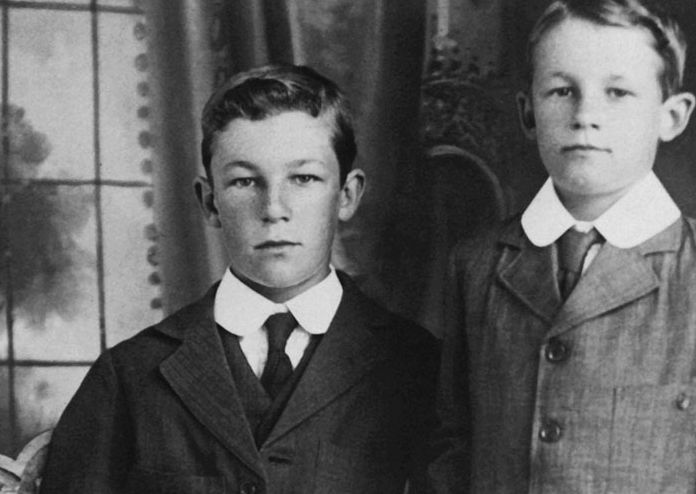 His relationship with his son ‘John’ improved, John reverted to using his real surname, ‘Bradman’. 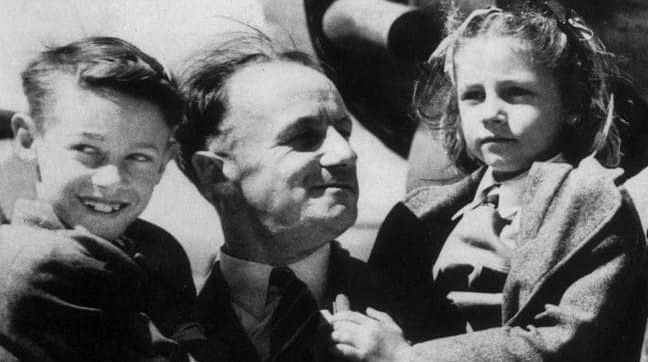 After his father’s death in 2001, he became the spokesperson for the family and began to defend the Bradman legacy. 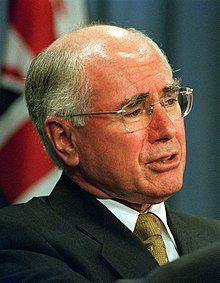 In 2001, when he died, the Australian government honoured him minting 20 cents bearing his image. 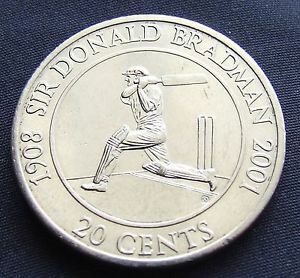 To celebrate his 100th birth anniversary, on 27 August 2008, the Royal Australian Mint issued a $5 commemorative gold coin with Bradman’s image. 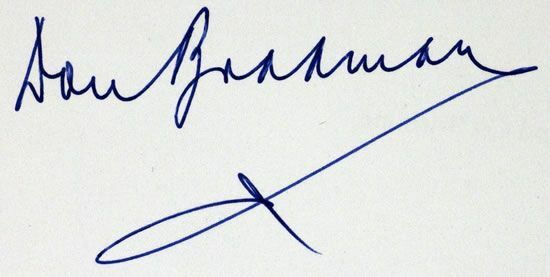 In 2009, Bradman was inducted into the ICC Cricket Hall of Fame. He has also written several books: How to Play Cricket, Farewell to Cricket, The Art of Cricket, Bradman: The Don Declares, Bradman’s Best. 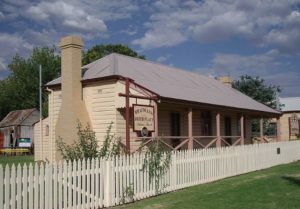 Bradman’s birthplace at Cootamundra in New South Wales, has now become a museum.